The factory is located in the municipality of Accumoli , an ancient village in the heart of Amatrician territory, which has always boasted a rich cuisine and an important History, and where the experience and culture of the “master butchers”, inherited by the Castelli family, are perfectly integrated with modern dietary requirements. It was 1984 when Gianfranco Castelli began his craft in what was then only a small porcine workshop with a limited production of sausages. This entrepreneur is very aware of the importance of territory and the bond with its products: with the collaboration of the elderly craftsmen then began a great job of rediscovering the roots and traditions that were in danger of being lost as years went by. This lead him to make heavy investments in technological systems that would allow a “home-made” production, adequately monitored in terms of health and hygiene standards. This philosophy, which combines respect for tradition and the industrial vocation, soon lead this small porcine workshop to become the most innovative company in South-Central Italy, and this commitment is recognized at every level: in fact, the Ministry of Agriculture, Food and Forestry includes in its national list of traditional food products five SANO products . Never be satisfied: this principle has guided the work of SANO throughout the years, leading the company to levels of quality excellence unique in the industry. 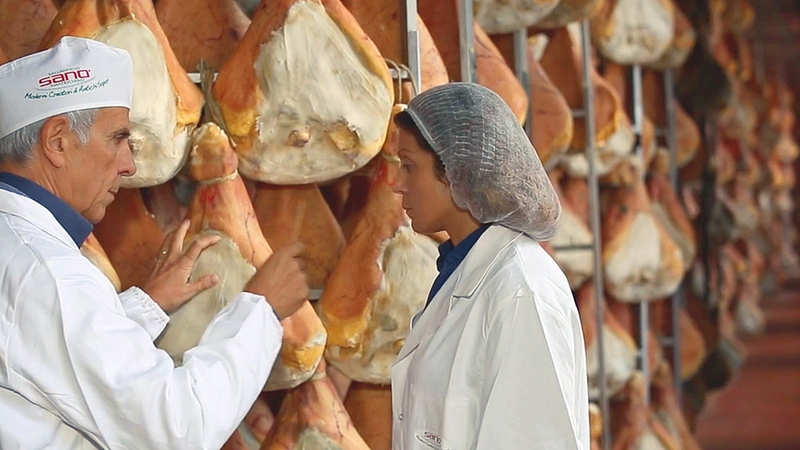 SANO is today the first Italian producer of “Guanciale” (pork cheek) and PGI Amatrician ham. In spite of the important numbers, the attention given to each individual product has never dwindled. The chain is supervised at all its stages to ensure each sausage’s traceability. The seasoning, constantly monitored, occurs naturally in ideal climatic conditions and it is balanced by units supervised by highly qualified operators. 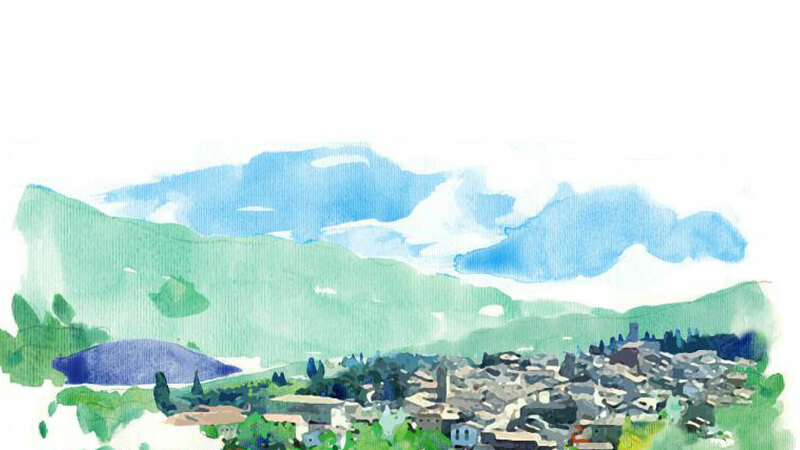 To respond to an ever more demanding market, SANO has also strengthened its research and development activities: an ongoing commitment that has led not only to consolidate and increase its presence in Italy, but also to successfully face the challenge of foreign markets. From the beginning, the philosophy that has guided Gianfranco Castelli, ideology that has been passed down to new generations, is based on three essential points. The first point is the rediscovery of traditional Amatrician crafts to offer, today as yesterday, inimitable flavors, with products created with the same care as in more ancient times. The second point is the targeted use of technology, to ensure reliability and safety in the production chain. 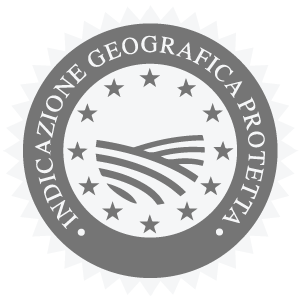 Third, but not least, is the link with the Amatrician territory, unique not only because of tradition and history, but also for its nature and environment. This is why the selection of meats, the salting and the curing are carried out according to traditional methods and criteria, a happy marriage with the natural air and the enclosing pristine woods and valleys, to create unique and unrepeatable flavors and aromas. And thanks to a meticulous and accurate workmanship, in keeping with the strictest European standards, all products have a superior and guaranteed quality. Gianfranco Castelli was the first to combine a deep knowledge of charcuterie to the skill acquired by local artisans, giving life to a production philosophy that is still the basis for those who work in the company. From that small porcine laboratory to the greater reality of today, a lot of road has been tread. But those first few co-workers, who with their experience and passion helped create all this, are still an essential part of the group and have become veritable pillars of reference. This is another point of the SANO excellence: a work group which is actually an extended family, where the elder transmit to the young not only hand-crafting in its strict sense, but also love and passion for workmanship. And it is this passion, combined with a continuous will for dialogue and collaboration, which has allowed and continues to allow the growth of the people who work in SANO, and that propels more and more the growth of a company that makes quality its first goal. The quality of selected meats, a judicious salting and constant care in the long period in which the products breathe the natural air of the Amatrician mountains, deliver daily to the table the aromas and flavors of the good things of the past. And the whole production takes place in the establishment of Accumoli, with quality guaranteed by the traditional handling of expert butchers and the still unspoiled mountain environment. Variety as well is one of the strengths of SANO: various types of ham, sausages of various kinds, and then the Guanciale, the Lonza, the Lonzino, and the bacon, represent a range of delectability that can satisfy each and every type of palate.